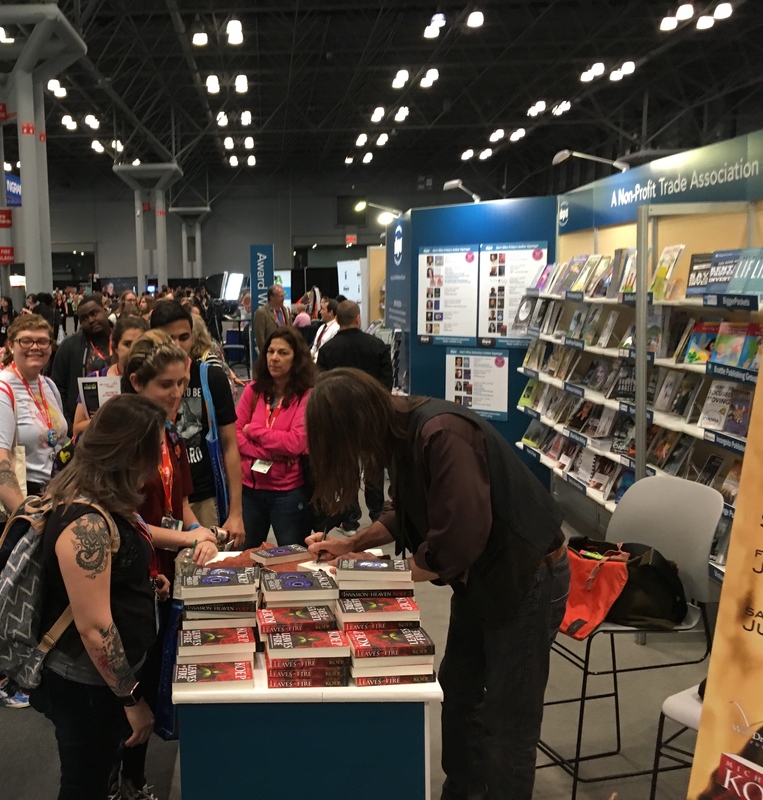 Will Dreamly Arts brought book lovers Michael B. Koep’s mass market pre-release of Leaves of Fire to New York’s BookEXPO and BookCON this year. While brandishing a quill, Michael signed copies splashing his signature and ink across the title pages. 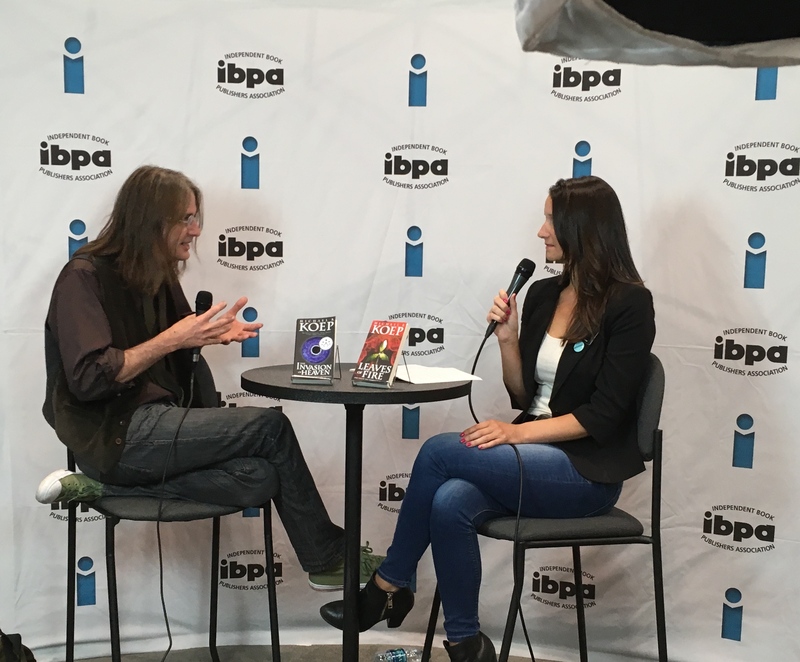 During the signing he got to chat with fans and answer questions about the forthcoming final installment of the Newirth Trilogy slated for release in 2018. The mass market version of Leaves of Fire is currently available for pre-order and releases on July 23rd, 2017. Will Dreamly Arts would like to thank IBPA and BEA for making us feel at home.